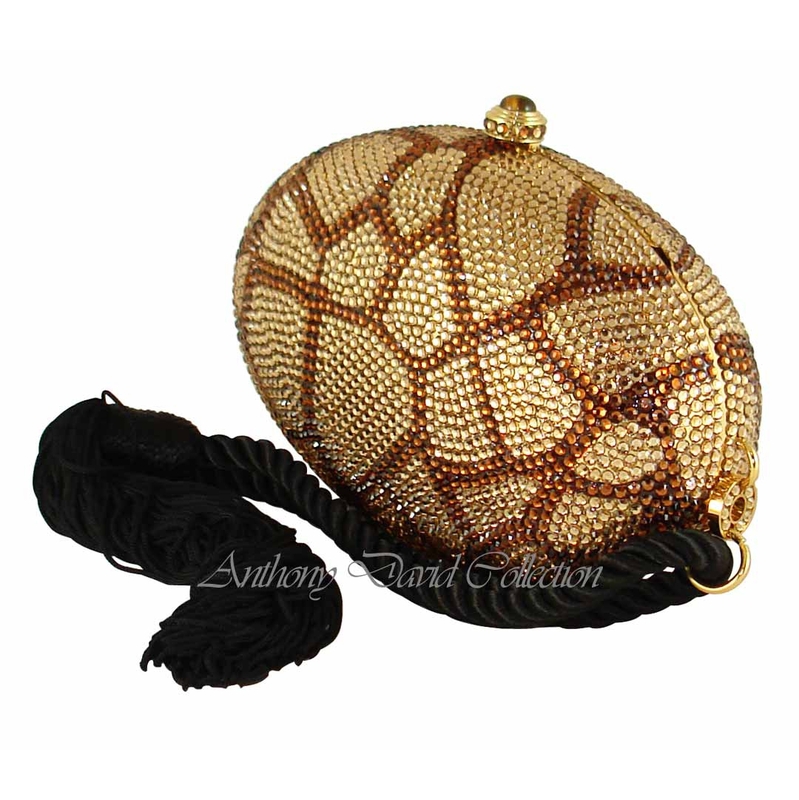 This beautiful egg shaped Anthony David gold crystal evening bag has a solid metal frame that is fully covered with Swarovski crystals. Each crystal is hand set by a skilled artisan; making each design truly a work of art. 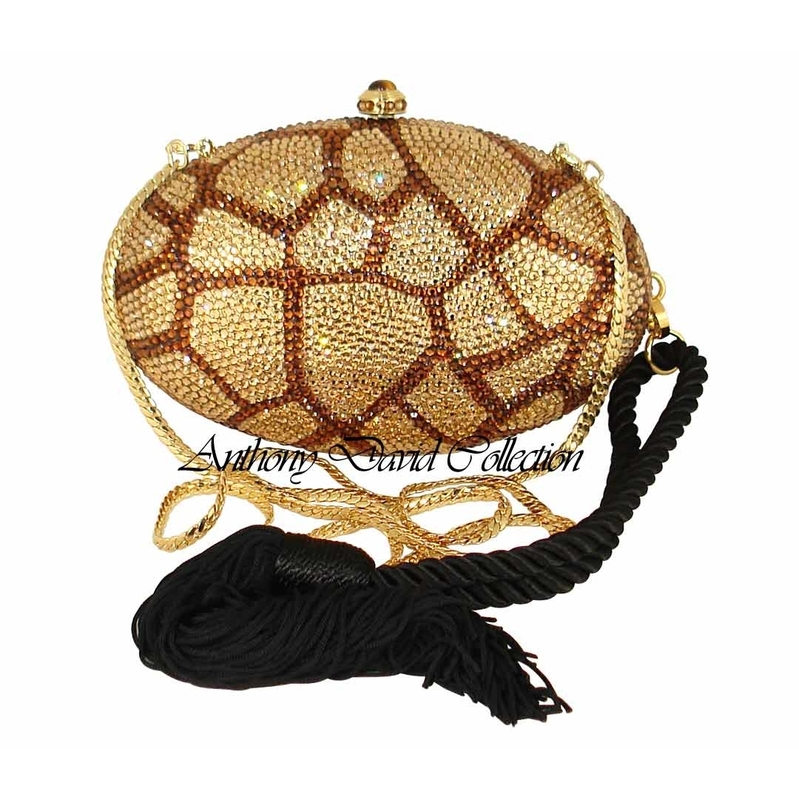 This bag has a genuine leather lining and real Swarovski crystals. 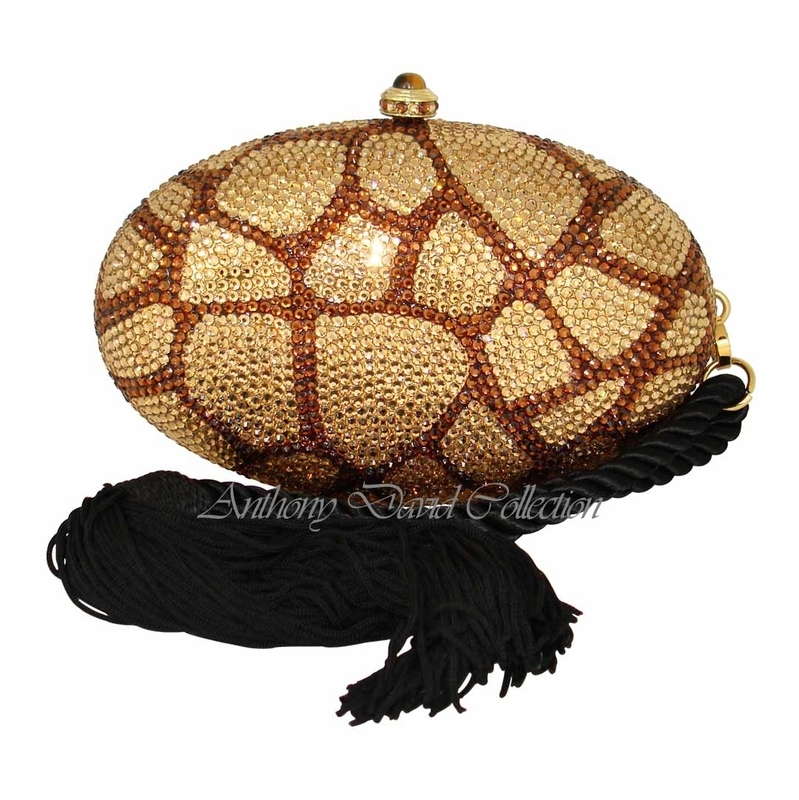 Carry it as a clutch handbag, use the wrist tassel or wear it as a shoulder bag with the detachable shoulder chain. 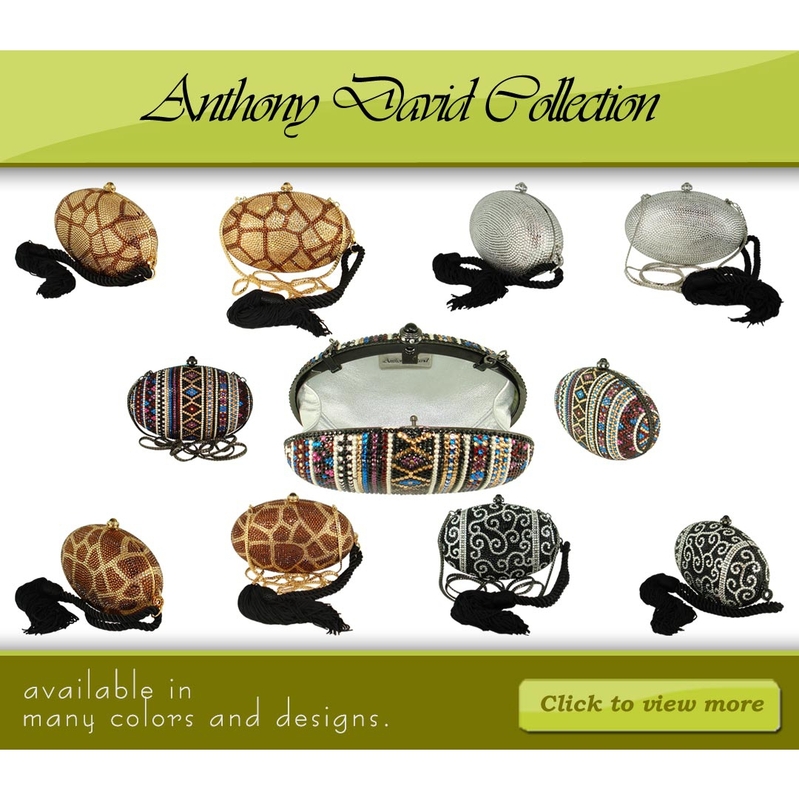 Do not miss new our collection of Anthony David crystal accessories. Fully covered with bronze (smk. topaz) and gold (lc. topaz)Swarovski crystals.